11001000 16BIT_ADDER The 16BIT_ADDER mnemonic is used to calculate the target address for jumps. The General Purpose Register X contains the 1st input value, and the General Purpose Register J contains the 2nd input value. The result of the calculation is written back to the General Purpose Register X. 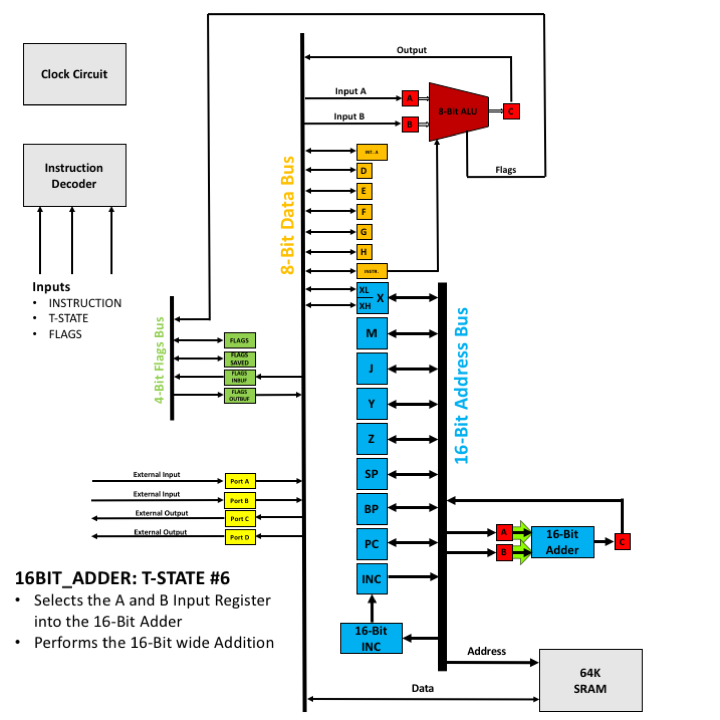 The following animation shows how the 16BIT_ADDER opcode is executed physically on the CPU.